New Zealand could easily stop buying “stolen” phosphate from the occupied Western Sahara and use a more environmentally friendly version, a soil scientist and independent fertiliser operator says. The Stuff series Growing Pain has shone a light on how New Zealand has been thrust into the centre of the world’s most protracted refugee crisis by continuing to buy phosphate from the bitterly disputed region. A showcase of two mini-documentaries (30min each) on the plight of Western Sahara – Africa’s last colony and a UN-disputed territory. The screening will be followed by a Q&A. 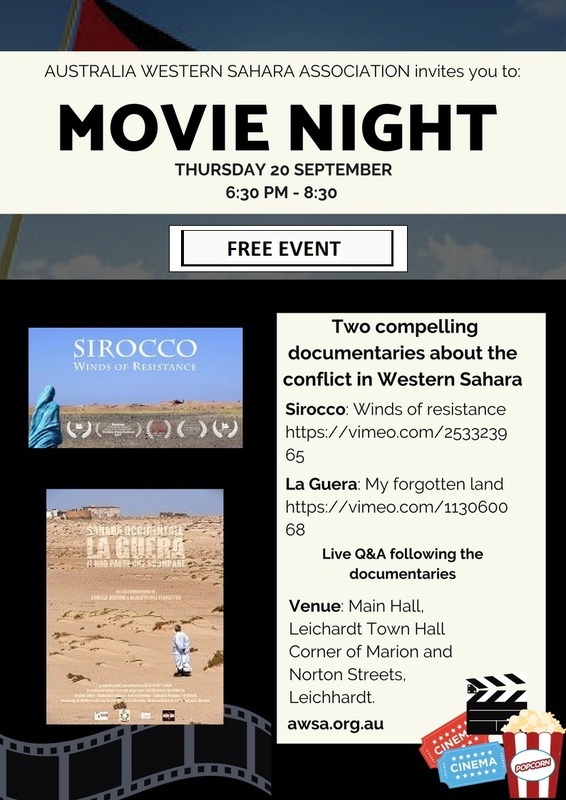 Drinks and nibblies will be available with proceeds going to support awareness-raising for Western Sahara. This entry was posted in General on September 14, 2018 by appleton. 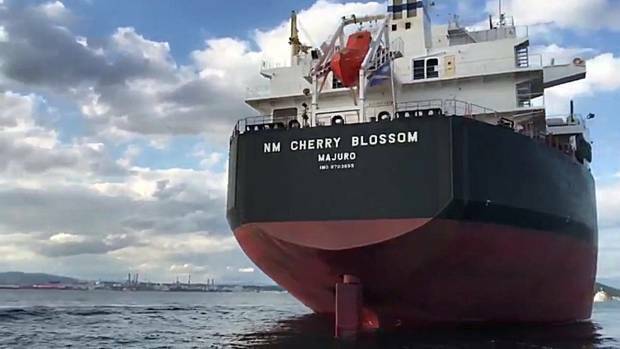 The NM Cherry Blossom, which had been headed for Tauranga, was forced to anchor 4km off the South African coast, costing $10,300 a day. Refugees who blame New Zealand for a long-running stand-off in the Western Sahara have made a direct plea to Prime Minister Jacinda Ardern, who is among the few Westerners to have visited their camps. A delegation of representatives from Morroco is in Wellington this week to make their case over the ongoing purchase of minerals from the region by two New Zealand fertiliser co-operatives. Phosphate taken from a mine in the region is considered by the Saharawi people to be stolen by Morroco, which annexed the area in 1975. This entry was posted in Agricultural exploitation, General, Phosphate importation, Political issues on September 14, 2018 by appleton. The world’s longest conveyor belt in the Sahara Desert. 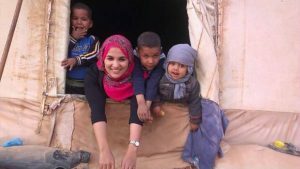 * part two of Growing Pain, a Stuff series, Charlie Mitchell reports on New Zealand’s tarnished reputation as a humanitarian nation in the eyes of those stuck in refugee camps in Algeria. 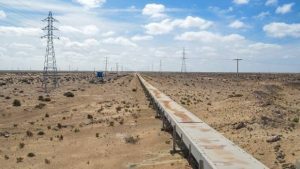 * In part three of Growing Pain, a Stuff series, Charlie Mitchell explains the strange bind that keeps New Zealand companies returning for more phosphate from Western Sahara. This entry was posted in General, Phosphate importation on September 14, 2018 by appleton. Environmental Protection Agency (EPA) chief Lisa Jackson tried to shut down the Florida-based Mosaic Company in 2011, operator of America’s largest phosphate mining facility. This entry was posted in Political issues on August 20, 2018 by appleton. “A tremendous opportunity exists for President Donald Trump to resolve a long-simmering foreign policy conflict over Africa’s only remaining colony, Western Sahara, as it is a stark illustration of exactly the themes on which he campaigned. This entry was posted in Political issues on August 19, 2018 by appleton. This entry was posted in General, Human Rights, Phosphate importation, Political issues on May 25, 2018 by appleton. Last week, the EU Court of Justice ruled that the EU-Morocco fisheries deal is not applicable to Western Sahara or its adjacent waters. 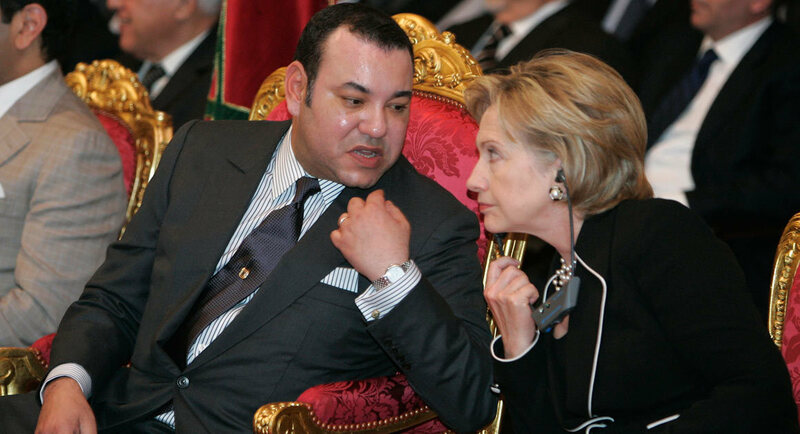 The judgement is the latest in a string of legal victories to affirm that Morocco has no sovereignty over Western Sahara or its natural resources. This reality was underscored last month when the High Court of South Africa confirmed that the Saharawi Arab Democratic Republic was the rightful owner of 55 tons of phosphate rock aboard the NM Cherry Blossom. The vessel’s cargo – detained in South Africa with phosphates illegally exploited in Western Sahara and bound for New Zealand – will now be returned to the Saharawi people. This entry was posted in Political issues on March 12, 2018 by appleton.